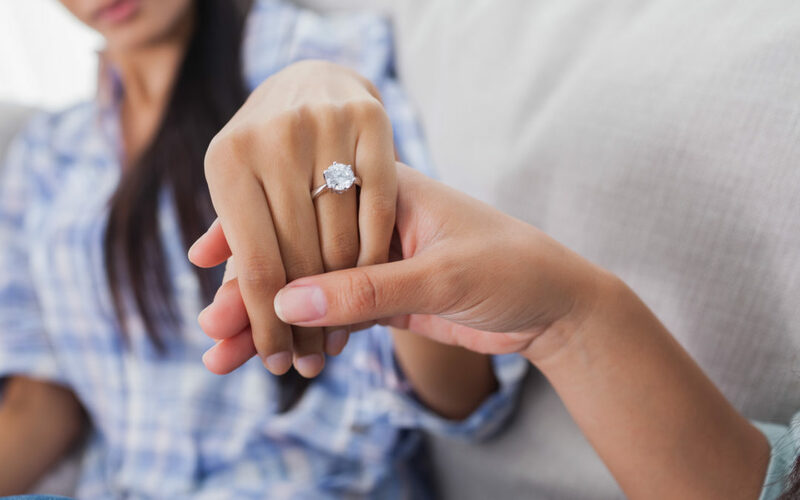 Diamonds have been a traditional choice for engagement rings, and their selection has often been likened to choosing a life partner; one must tread with caution. Timeless and classic, they are the most common type of center gem, in addition to most lasting and durable. While buying a diamond engagement ring might be the most substantial investment you will ever make, having the right information puts you in a better position to stick to your budget and pick the diamond qualities you prefer most. Here is a walk-through guide for choosing a diamond ring. And if you want to go a bit out of the norm, you could go for the fancy-shaped princess diamonds which feature an angular and contemporary beauty which looks incredible in geometric and classic settings. Cushion diamonds are also an excellent choice if you are looking for a vintage-inspired setting, and radiant diamonds are often a stunning alternative to cushion and princess diamonds for anyone who fancies a rectangular shape. Pear, oval, and marquise-shaped diamonds are usually more distinctive shapes and help your fingers appear long and slender because of their elongated appearance. Another aspect you will need to consider when choosing a diamond ring is the size of your gem. The size of your gem is something you should not overlook because it is the most visually apparent attribute of your diamond. And while a carat is often used as a unit of weight, it could also be used to approximate the size of your diamond. You could also find the measurements of your diamond ring another significant indication of the gem’s actual dimensions. Cut: An essential quality attribute of round diamonds is the cut, which usually impacts the gem’s scintillation, fire, and brilliance. If your diamond has a poor cut, then your gem piece will look lifeless and dull. In the case of round diamonds, it is often easy to assess the cut since it is usually formally graded in independent diamond laboratories. When it comes to engagement rings, a cut grade of excellent, ideal, or perfectly ideal is often recommended. Color: Another quality characteristic to take into account is the color and clarity of the gem. While people often vary in the ability to differentiate colors, many people have shown a preference for a white or colorless diamond, or a color that is less detectable to an untrained eye. (If color is especially meaningful to you in choosing a gem, there is a great article on colors and their meanings here. Clarity: Clarity is another characteristic of diamonds that is often determined last because it has a minimal impact on your gem’s appearance. 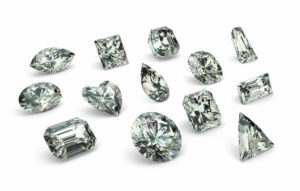 Diamonds that are free from inclusions or flaws are usually rare and highly-valued. And regarding diamond clarity, the best value in a diamond ring is one with no flaws visible to an unaided eye. Some diamond rings that are graded “Sl2” or “Sl1” usually contain visual inclusions, and you should never go for a diamond with inclusions that are visible with your naked eye. It is always a good idea that you select a diamond ring which comes with a diamond grading certificate of its own from a reputable gemological laboratory. Independent grading assessment will ensure that you receive what you actually paid for. And the rule of thumb is to always strike a balance between the diamond’s size (often represented in carat weight) and quality (or color, cut, and clarity). NW Diamonds & Jewelry has been helping people in Portland and beyond find the perfect wedding and engagement rings for over 25 years. To learn more please visit northwestdiamonds.com. Also like our Portland Jewelers Google+ page for news, announcements and information.